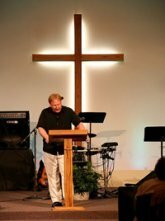 Fundraising Ideas for Churches - The Best & Most Recommended! On this page you will find the most recommended and best fundraising ideas for churches here on Rewarding Fundraising Ideas. It just means that these are the most recommended ideas for most church projects, causes or campaigns. Don’t burnout your fundraising resources, and target market, by having too many fundraisers of the same nature! Choose carefully and diversify both your ideas and who you target. A crowdfunding campaign is simply taking donations, usually online, from a crowd of people! It's a fantastic fundraising method! But it does need to be setup correctly and then promoted like crazy from start to finish to be successful! And that’s why you should read all three Online Donations articles to make sure your fundraiser is super successful! To start your Church Crowdfunding campaign for free, head over here now. From Christian T Shirts, to Jackets, to Mugs, to Apparel Bags, etc. Fundraising Apparel branded with your Church logo (etc.) creates a continuous fundraising opportunity and comes with a load of other benefits. It will create sustainability to your fundraising, raise awareness for your Church or the specific cause your Church is fundraising for, and it will also develop spirit amongst your members as they buy, wear and show their support! For USA based Churches an Online Apparel Fundraiser through SSA Stores is definitely the fundraising option to start with. It’s FREE to setup, runs automatically online, and can also be used to supply to your offline apparel fundraising drives! This is definitely one of the best fundraising ideas for churches. A Golf Tournament is a fundraising event that I often highlight to many causes, as it is a super successful fundraiser. And if your fundraising event has participants... You can make it profitable. 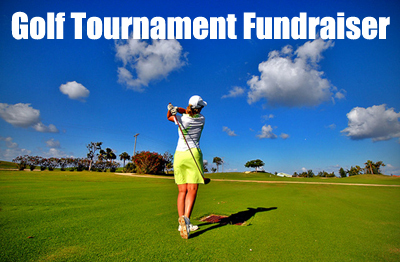 So read through the Golf Fundraising Ideas to learn how to make this great event really successful and profitable. Your next best church fundraising event options will be Pledge Events like Walkathons, Bowl-a-thons, Read-a-thons, and even Golf-a-thons! Because you won’t only be fundraising, but all your individual participants and teams will be also be promoting and fundraising for your Church, by taking donations and pledges for their efforts. All funds raised then go towards your Church’s fundraiser. A pledge event with lots of participants can raise HUGE funds!!! To setup a Pledge Event website I would recommend you use DoJiggy’s Pledge software. Product sales have always been a top fundraising idea for Churches. Which products you sell though, can affect your fundraising success greatly. Choosing the right products is all about whom your target market is and what their likes, dislikes and tastes are. 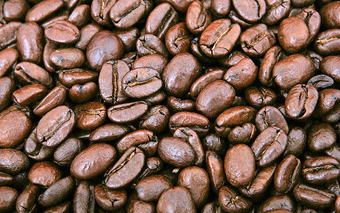 For example: Are your supporters and potential supporters’ avid coffee lovers and drinkers?! Then a Coffee Fundraiser will be a great option to use. To see what fundraising products are currently popular and profitable in the USA and Canada, grab this FREE fundraising guide. These two fundraising ideas are not only one of the most recommend fundraising ideas for Churches, but one of the best fundraising ideas for any cause! They are adaptable into almost any fundraiser or event, and will also do just fine on their own. You can run them offline, and online. And most importantly they will always raise you funds (unless you completely mess them up; which is highly unlikely). Go here for Raffle Ideas and here for Fundraising Auctions!